Teaching Tom missed it; do you? Teaching adult Sunday School: Listeners come to you weekly for biblical insights. When you think about all the different ministries within the church, teaching adult Sunday School has one of the biggest impacts on others. Think about it, every week, those within your Sunday School class give you 30 to 60 minutes to teach them how to live their lives. That’s remarkable! Where else in the world would an individual, much less an entire group of people, give you this opportunity? It’s really quite amazing. 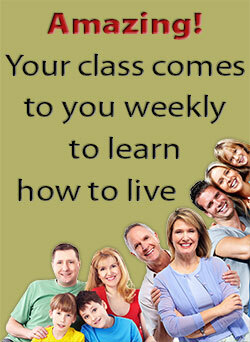 Your class may include doctors, lawyers, engineers, school teachers, moms, dads, grandparents, anyone, everyone. Yet, these individuals come to you on a weekly basis so you can teach them how to live a godly life! 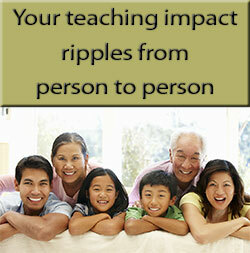 Teaching adult Sunday School: Your impact extends beyond your listeners’ lives. Plus, your teaching impacts not only your listeners’ lives but also everyone connected to them, including their spouse, children, extended family, neighbors, coworkers, those within your church, and many others. To illustrate, let’s say a couple in your class is headed toward divorce, but instead of continuing down that path, they decide to work out their differences because of your weekly teaching. 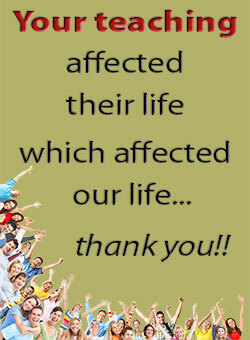 Their decision not only impacts their own life but also the lives of many others? For example, the couple will remain together and bypass the pain and suffering involved in divorce. The couple’s children will likewise be saved from the pain, rejection, and other ill effects of divorce. Those ill effects often influence how the children treat others, including their own spouse and children. Your teaching adult Sunday School may even have a part in preventing their children from getting a divorce and starting the cycle all over again. Even the couple’s parents, now nearing the end of their lives, won’t have to painfully watch their child’s family fall apart. Teaching adult Sunday School: Lessons slowly mold your listeners’ lives. What may appear to be simple, straightforward Sunday School lessons, week after week, may in reality be life changing lessons that slowly mold your listeners’ lives as well as the lives of the next two or three generations that follow them. This is why teaching adult Sunday School is such an honor and a privilege. Teaching adult Sunday School: You influence individuals for decades. Teaching adult Sunday School Tip: Your teaching ministry is at the center of how your church fulfills the Great Commission. I say all this to remind you of your importance as a Sunday School teacher and to keep you from viewing each lesson as just one more lesson you have to prepare and teach. I say this to remind you that next week’s lesson may, in fact, impact people’s lives 100 years from now. It is a reminder that each time you teach, you are throwing a nugget of truth into the pond of your listeners’ lives. The resulting ripples can extend in all directions for 5, 10, 50, 100, or more years as your teaching impacts your listeners’ lives, and as their lives impact their children’s lives, which impact their children’s lives, and so forth. Investing your life in teaching adult Sunday School can reap great dividends over the course of your life. To learn more about Teaching adult Sunday school, see chapter 6 in Teaching to Transform Not Inform 1: Foundational Principles for Making an Informational Sunday School Lesson...TRANSFORMATIONAL. 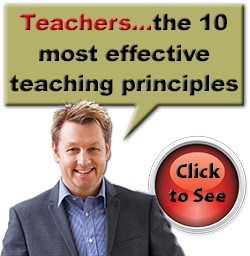 Get practical, life-altering, teaching principles! 100% private & never shared.